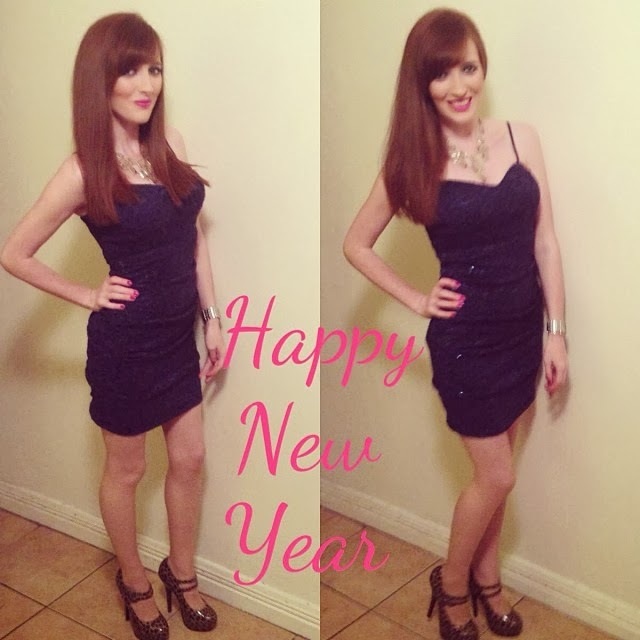 Happy New Year Fashionistas! Here is my first outfit post of 2014 and it features my outfit from New Years Eve. I was partying in Galway city with my sister Stephanie and we had a brilliant night! Let’s just say we rang in the New Year in style! I last wore this dress to my engagement party over a year ago and it is one of my favourite items in my wardrobe. I picked it up when I was on holidays in Florida. I love the fit, shape, colour and everything about it so I felt it was due another outing and what better night than New Years Eve! I teamed it with my Kelly Brook for New Look leopard heels and a statement necklace. I have included similar items in the ‘Shop this Post’ widget below. Last year I made one New Years Resolution and that was to stop wearing fake tan. I have nothing against fake tan but I do like a good challenge and for someone who could not go on a single night out without wearing fake tan this was certainly a challenge. I am very fair skinned with freckles and although I liked the images where I had fake tan on, I had to be realistic – it was never going to look natural. Also I was spending a bomb on St. Tropez and L’Oréal Sublime Bronze. For the first time I can safely say I stuck to my New Year’s Resolution, so here is to hoping I can show the same determination this year! I say this every year and I usually go through a burst of fitness (when the weather is good) but with my wedding 18 months away there is no better time to try and get fit! Especially with the move to our new house I think this will be a good time to start afresh and get exercising! This is something I say far too often in response to something I disagree with! Sometimes I feel like I sound like a broken record ya but, ya but, ya but! I am going to try and say something more productive anymore instead of this phrase which has become an unwelcome habit! Everyone has a bad habit and this unfortunately is mine. It may seem fine, I mean I only do it whilse I’m driving. However as a commuter I spend a lot of my time in the car which means going through endless bottles of Clinique ‘All About Lips’ to try and repair the damage I’ve done! I am going to start researching how to kick this habit right now! I love those Kelly brook heels! 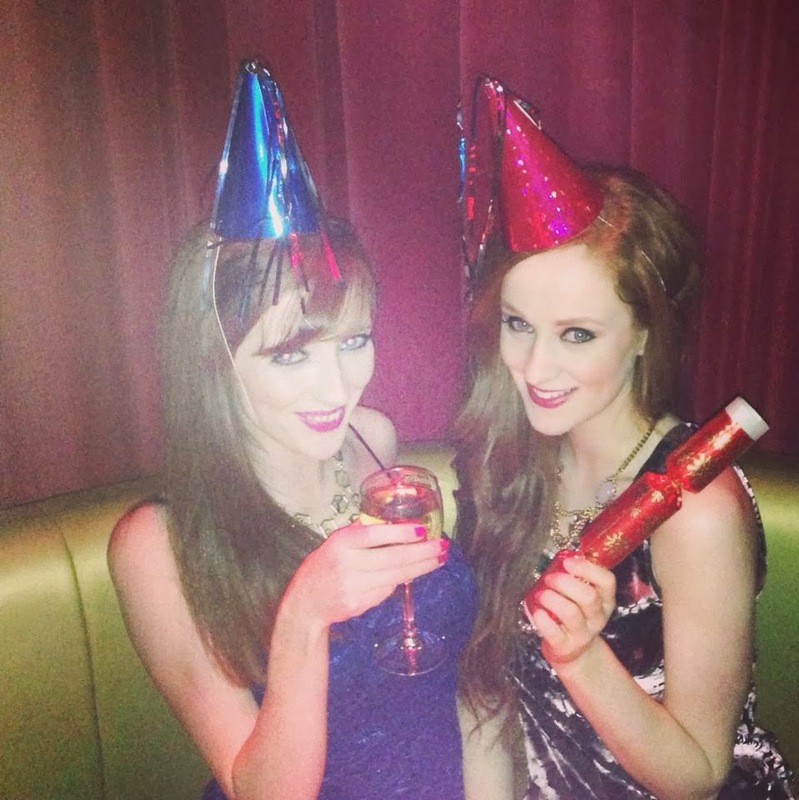 You and your sister look fab, cant wait to see where Bec Boop goes in 2014! I agree about the nails thing. I'm a divil for it and I really need to stop this year! Your dress is gorgeous by the way!